An international relations major who is also on the pre-med track, Samantha Cook ’17 plans to go to medical school to become a pediatrician. 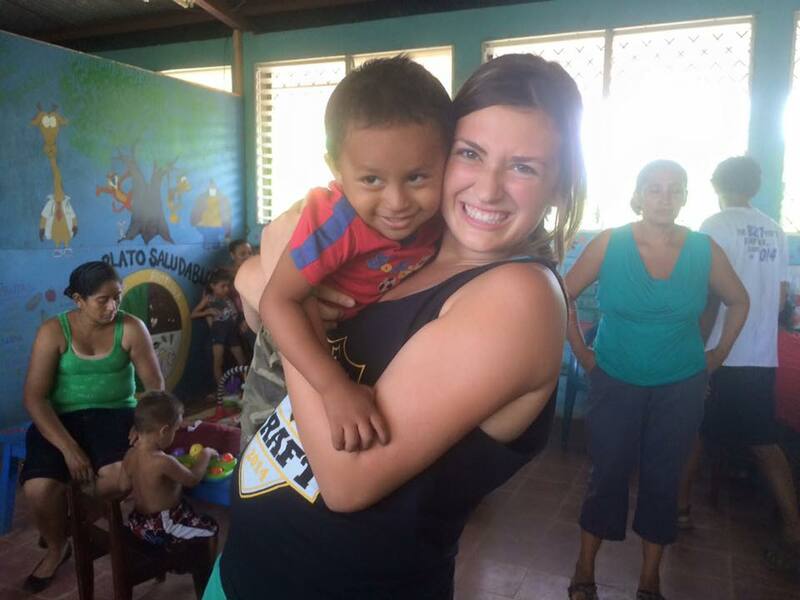 Her biggest dream is to help underserved populations both domestically and abroad, and this summer she traveled to Nicaragua for an internship through the International Medical Relief of Children (FIMRC). 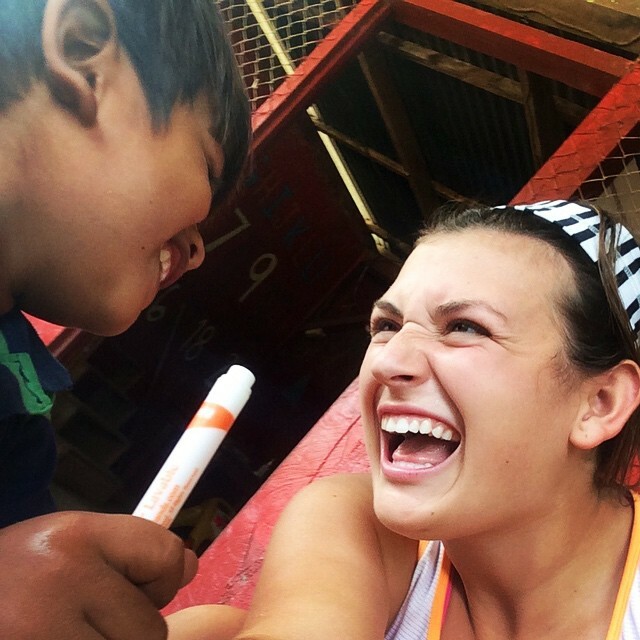 After a full cultural immersion in Nicaragua, she has achieved proficiency in Spanish and has “fallen in love with NGO work.” She will continue her studies on the subject this fall through research involving the impact of stereotypes and tourism on the effectiveness of international medical NGOs. 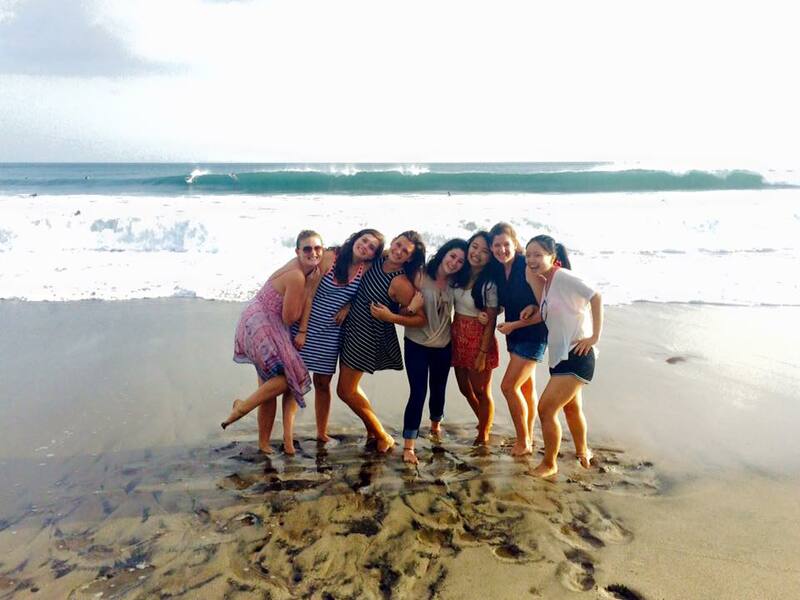 I was a Summer International Health Fellow for Project Limón in Las Salinas, Nicaragua. My internship was through the Foundation for the International Medical Relief of Children (FIMRC), an international NGO dedicated to improving the conditions and care for children in developing countries. Long-term, I aspire to be a pediatrician. I want to be able to practice bilingually and continue to work abroad when possible, which is why practicing my Spanish in Nicaragua was so pertinent. While I was there, I was given a smorgasbord of opportunities. Not only was I assisting with the six local projects FIMRC has established within the community—I also had to create and implement a sustainable project during my month-long fellowship. The project I chose was to revamp the Los Pipitos therapy center, which houses physical, occupational, learning and speech therapy for children. Nicaragua’s government provides the building for Los Pipitos, but particularly in small, rural communities, there are no trained therapists or full-time staff. The goal is for parents to use this facility to administer therapy and work with their child. The major problems within Los Pipitos were limited direction and education for the therapy protocols, minimal organization and resources, and a lack of parental involvement. Three other interns and I focused our project on creating specific therapy profiles for each child (detailing a directed therapy protocol, evaluations to measure progress and notes on each particular child), traveling to a larger Los Pipitos center and receiving education on better therapy strategies and cleaning/organizing the center to make it more conducive to therapy. Another key facet of my internship was the homestay experience. I lived with a local family who provided me with all of my meals every day, and they were an integral part of the cultural immersion I experienced throughout my internship. I became so close with my homestay family—they were kind, generous, and welcoming and constantly went out of their way to make me feel at home. For example, I was playing with my 6-year-old host niece who proceeded to ask if I liked the movie Frozen (her favorite movie), to which I replied, “Absolutely!” The next day when I came home from work, my family had borrowed the DVD from a cousin and set up a portable DVD player attached to their small TV. That night, we watched Frozen together as a family. All it took was a passing comment that I liked that movie for my family to make sure that we watched it together the next day. I truly felt treasured and loved, and I am still grateful and humbled to have been treated as a member of their family and community. Posted on August 27, 2015 by FIMRC and filed under SIHF, Project Limón, Nicaragua and tagged Nicaragua Los Pipitos SIHF NGOs International Relations.